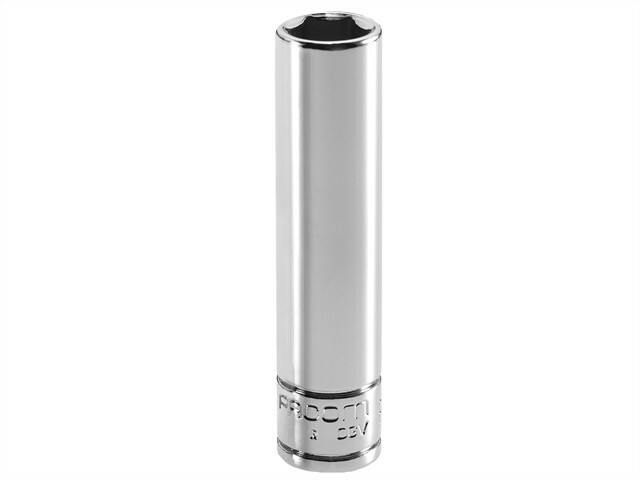 The Facom 6-point OGV R.LA sockets have a 1/4 inch drive to fit 1/4 inch ratchets. The sockets are long-reach, and their OGV profile allows tightening torque to be applied to the sides, rather than to the angles of the nut/bolt. They are an excellent choice for tightening/loosening harder to reach nuts, bolts and other fasteners. Available in a range of different metric sizes. ISO 2725-1, DIN 3124 and NF ISO 2725-1.